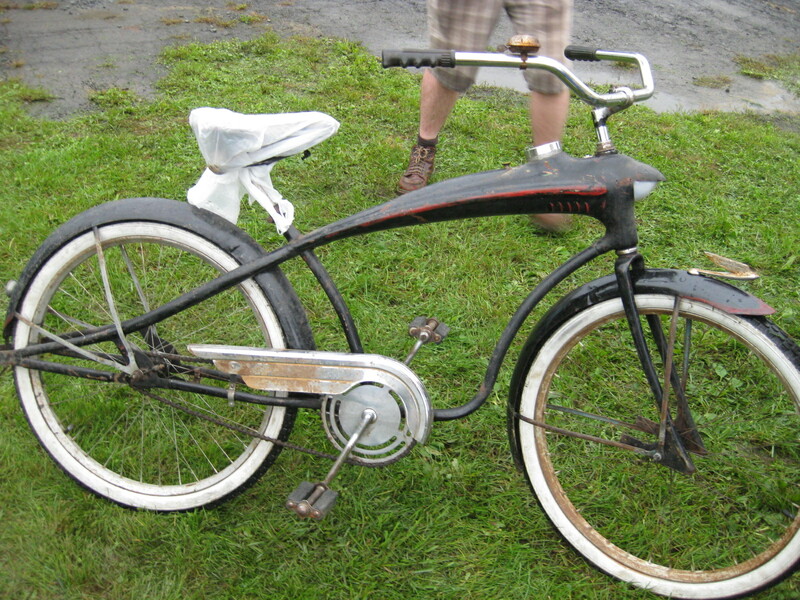 I don’t own any of these, but they were interesting enough to show the world. 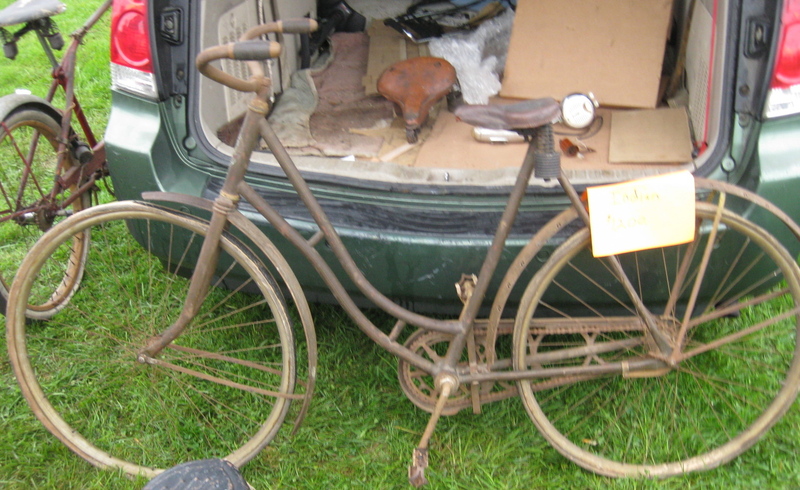 1910s Pierce Arrow shaftdrive. 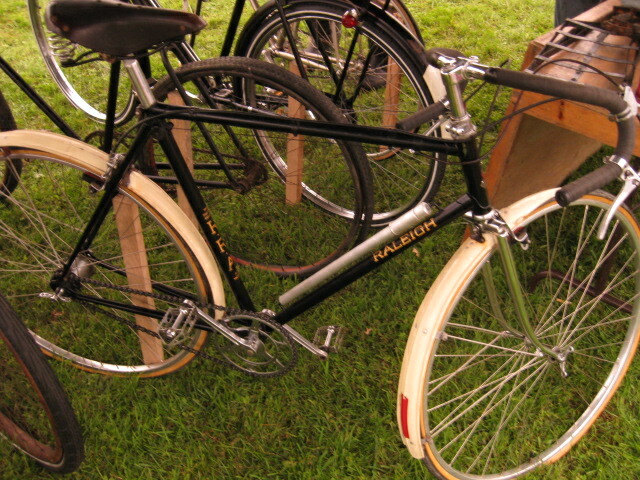 note the dual suspension and wood wheels. 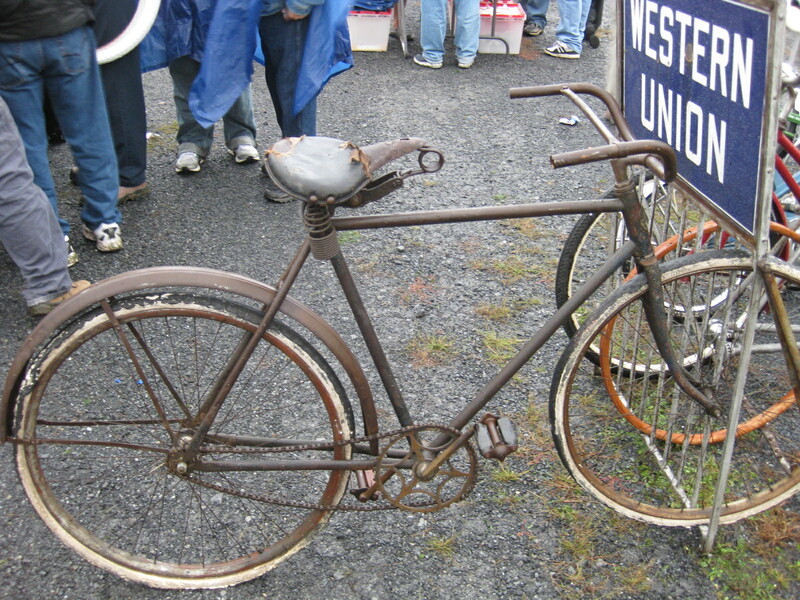 Western Union bicycle with rare bicycle parking sign! 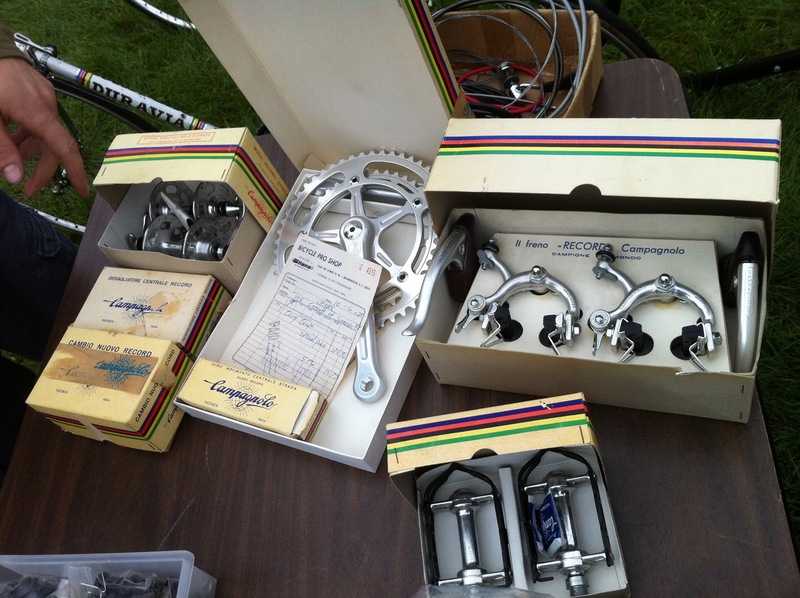 1975 Campagnolo Nuovo Record group, all new in boxes. 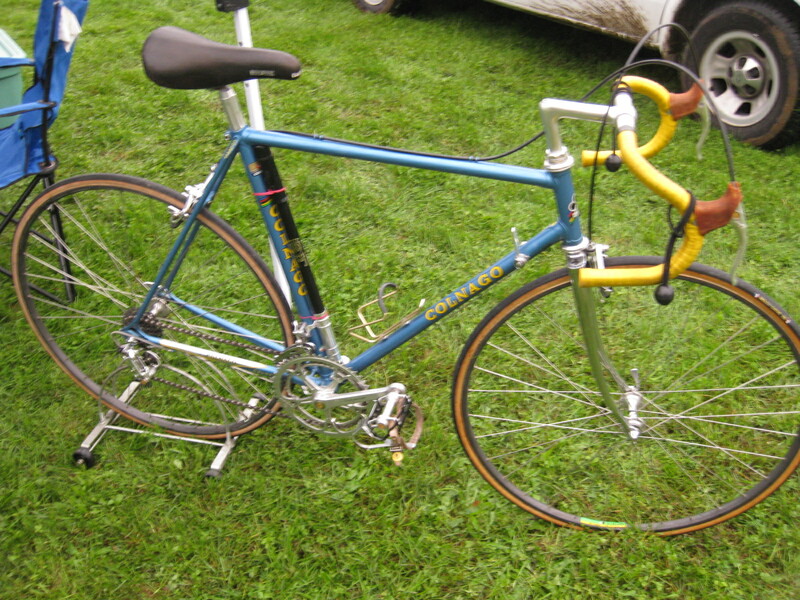 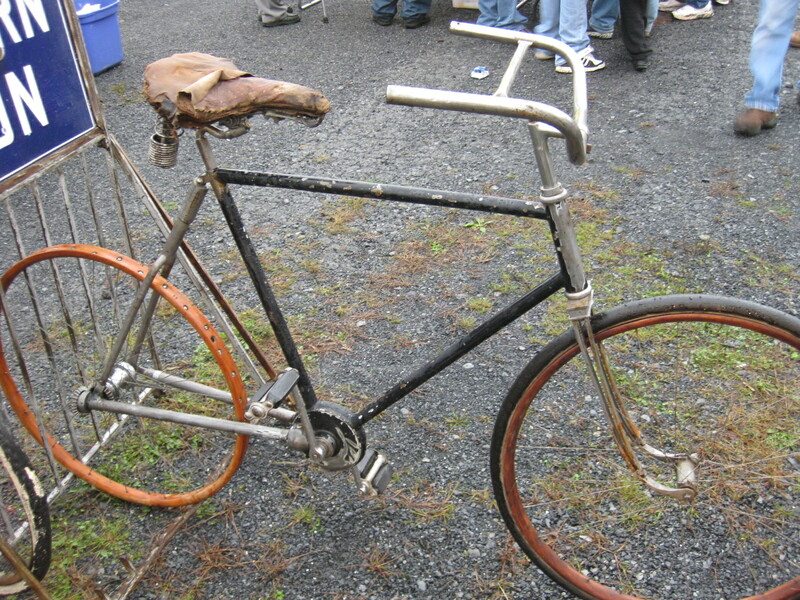 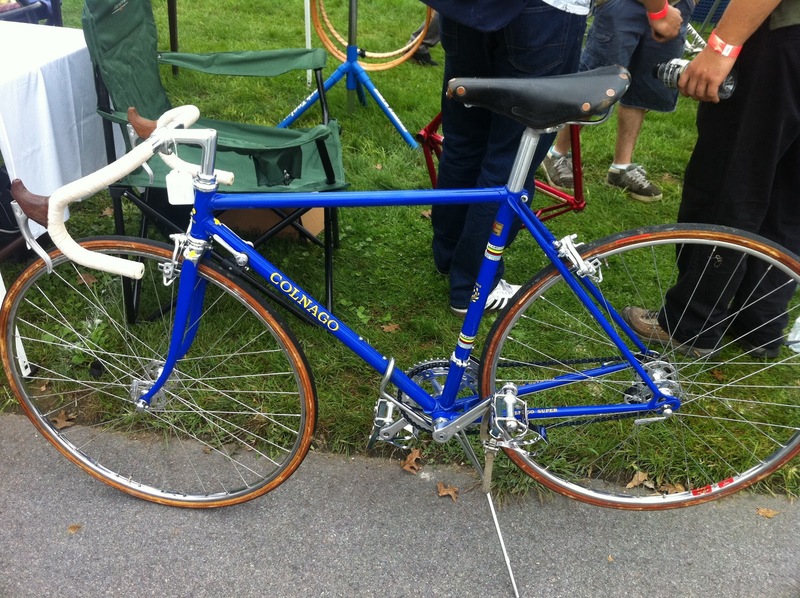 Schwinn Paramount track tandem, set up as a road bike.